Dry: Gently shake out any excess water or let the recyclable item air-dry before placing it in a recycling container. "Republic launched the Empty, Clean & Dry consumer education campaign last year," said Pete Keller, vice president of recycling and sustainability at Republic Services. "And, although we've seen critical improvements in many of the communities we serve, there is still a long way to go to reduce or eliminate contamination in the recyclables we collect and process. Through education and awareness, we can all do our part to preserve recycling and make a positive impact in our communities for generations to come." Consumers play an important role in understanding what to recycle and how to avoid recycling contamination, or unwanted substances such as residual food or liquid that can be harmful to the recycling process. Recycling contamination can be anything other than what is intended to be collected and recycled. A contaminated item placed in the recycling container can come into contact with other recyclables such as paper or cardboard, and potentially contaminate the entire batch of recyclables. The most common non-recyclables contaminating the recycling waste stream include: ropes, chains, cordage, batteries, diapers, latex gloves, food, clothing, cell phones, Styrofoam and hard cover books. Republic advises that the best way to avoid contamination in the recycling stream is to adopt the Empty, Clean & Dry guiding principles and to contact the local recycling service provider or the local solid waste authority about what can and cannot be recycled. Not every recycling company operates the same way and different service providers may have different requirements. 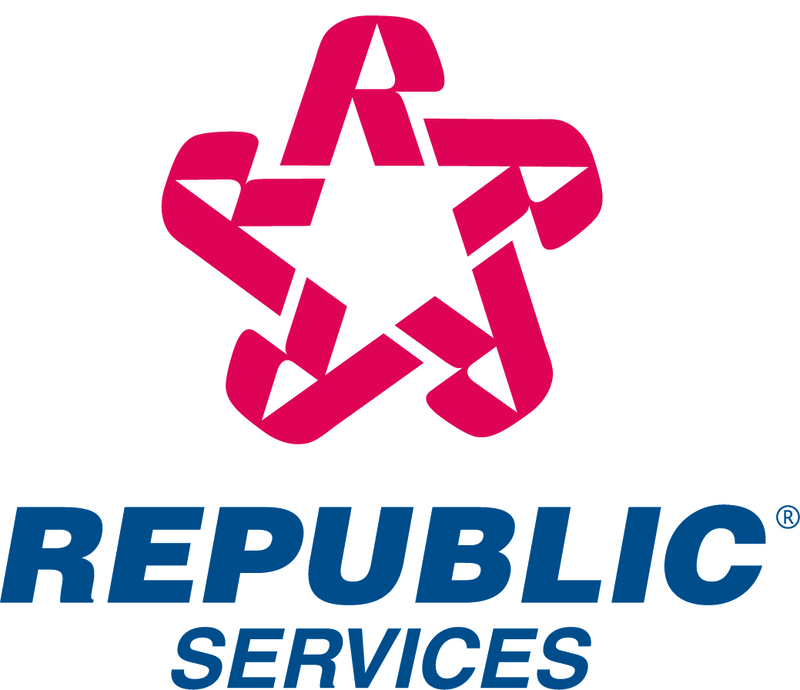 Known as the Blue Planet™ sustainability initiative, Republic Services is defining its approach to corporate social responsibility through the practices and programs outlined in its Sustainability Report. To view the latest Report, go to www.RepublicServices.com/Sustainability.